AMURU/ADJUMANI- Ms Margaret Aculu, 35, emerges with her baby from a makeshift structure looking frightened as she welcomes me to what she calls home in Luru B Village, Apaa Parish. 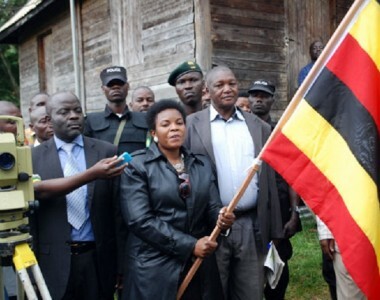 The disputed piece of land is claimed by both Amuru and Adjumani districts. 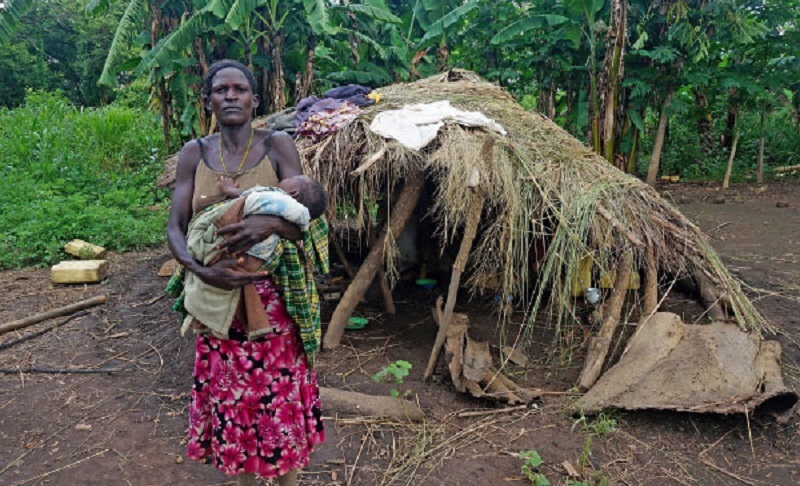 She had sought refuge at this structure with her baby for the last one week after her two huts were allegedly burnt down by a group of Uganda People’s Defence Forces Soldiers (UPDF). 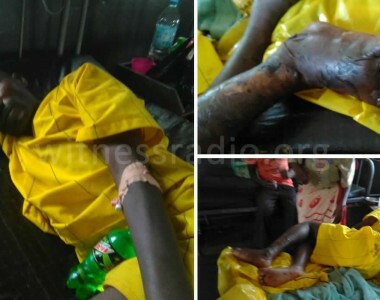 According to Ms Aculu, all was well until on May 1, when armed men wearing UPDF uniforms found her in the garden and demanded that she stops whatever she was doing. “The soldiers asked me to stop farming in the area because it belongs to animals. They told me they were sent by Uganda Wildlife Authority to make sure that we leave the area or else we would be beaten,” Ms Aculu said. Ms Aculu said the soldiers later took her photograph, gathered some of her properties which were in the compound and threw them into her two huts before setting them ablaze while assuring her never to settle in the area again. “I fled the area for my dear life, I hid in a bush until night time when I returned and slept in one of the ruins of the burnt hut. I have nothing left with me at the moment, all my belongings and food crops have been destroyed,” she says. The mother of three says her husband has been on the run ever since the soldiers started forcefully evicting locals in the area. Hundreds of locals have been left homeless in the wake of an ongoing forceful eviction by the government over a disputed 40 square kilometre piece of land. 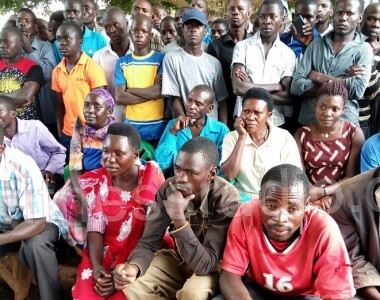 Uganda Wildlife Authority (UWA) rangers backed by UPDF soldiers began forcefully evicting locals from the area in February, claiming the residents were illegally settled in East Madi wildlife Game Reserve. 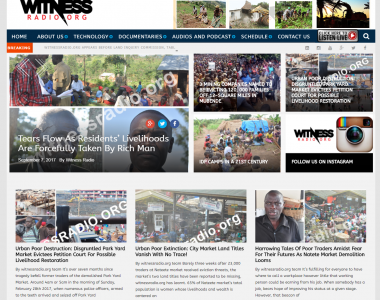 Mr Wilson Azuma, the production officer in Apaa Parish, alleged that about 500 huts have so far been razed down while properties worth millions of shillings have been destroyed in the forced eviction. “Many of our people are sleeping in the cold, they have nothing left because the soldiers carrying out evictions never allowed them to carry anything. We need urgent help from the government,” Mr Azuma said. He noted that hundreds of people whose huts were burnt down have sought refuge at a community school in Oyanga Parish adding that their living conditions are alarming. The Fourth Infantry Division spokesperson, Maj Telesphor Turyamumanya, when contacted, acknowledged that UPDF soldiers have backed up UWA and NFA officials in carrying out eviction adding that it is ‘peacefully’ being conducted. “The people occupying the area were told earlier to vacate since it’s a game reserve and forest reserve. The soldiers are not doing anything illegal but implementing eviction order,” Maj Turyamumanya said. The Amuru District chairperson, Michael Lakony, however, said the forceful eviction is being done with impunity against innocent locals. He said the area now being claimed by UWA was gazetted as a game reserve by an Act of Parliament in 2002, when land owners were still in Internally Displaced People’s camps. Mr Lakony called on the intervention of President Museveni to solve the impasse. He said they have instead been advocating for peaceful relocation of the residents settled on the gazetted wildlife game reserve land.